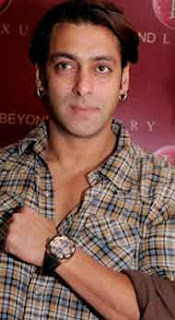 Bollywood star Salman Khan's philanthropic side is well known and now the actor has gone ahead and pledged his bone marrow to help people suffering from life-threatening diseases. "Donating marrow is a simple act, it's as simple as donating blood. But this simple act can save the life of someone suffering from blood cancer, thalassemia and other major blood-related diseases," Salman said in a statement. "I am pledging my marrow with MDRI (Marrow Donor Registry of India) so that in an emergency, if a patient's sample matches mine, I can be reached to donate my marrow," the 44-year-old actor said. Salman's charitable foundation Being Human has also joined hands with the Marrow Donor Registry (India) to create awareness of how marrow donors can save lives. "The more the donors, the more lives we save. So I urge that all of you who are blessed with good health come forward and pledge your marrow so that the less fortunate can benefit from this thoughtful act," Salman said. The aim of the initiative is to develop a large pool of voluntary marrow donors for transplants that are life saving for patients suffering from blood cancer, thalassemia, aplastic anemia, congenital immunodeficiency states and other such blood related diseases.